West Bengal NTSE 2018-19 Official Notification released. Online Registrations to begin from 1st August 2018. Directorate of School Education, West Bengal has released the official notification for the State Level National Talent Search Examination (NTSE) 2019 for West Bengal region. Portal for Online Application will be available from 1st Aug 2018 to 31st Aug 2018. & Exam is scheduled on 18th Nov 2018. 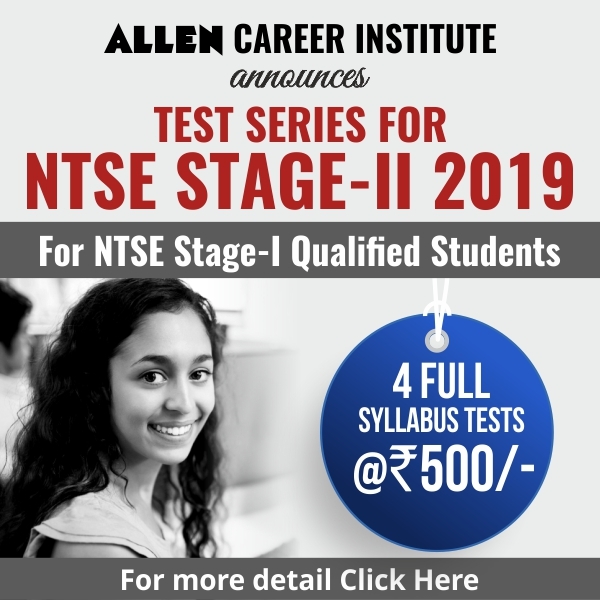 All the Eligible Candidates studying in Class 10th can apply for the NTSE-2019 Stage-1. The Students of class 10th of any affiliated and recognized school under W.B.B.S.E./W.B.B.M.E./I.C.S.E./C.B.S.E in West Bengal securing 50% and above marks [40% and above marks for S.C/S.T/OBC ( as per Central Govt. norms)/ Physically Disabled Candidates] in the final examination of class 9th are eligible to appear at State level NTSE, 2019 along with all other students of ODL and Other Candidates as per official eligibility standards can apply for the NTSE-2019 Stage-1. The West Bengal NTSE 10th Result 2018 has been declared by the School Education Department, West Bengal along with the cut-off. Total 295 students have qualified the exam. The National Talent Search Exam Stage 1 of West Bengal was conducted successfully on November 5. Department of School Education, West Bengal has announced the result of West Bengal NTSE Stage I 2016-17 . 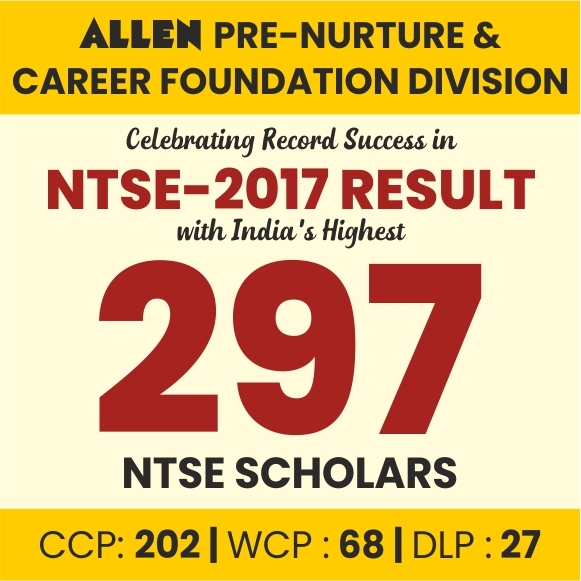 A Total of 293 candidates have been selected for the NTSE Stage-II Exam 2017 which is going to be held on 14th May (Sunday) this year. 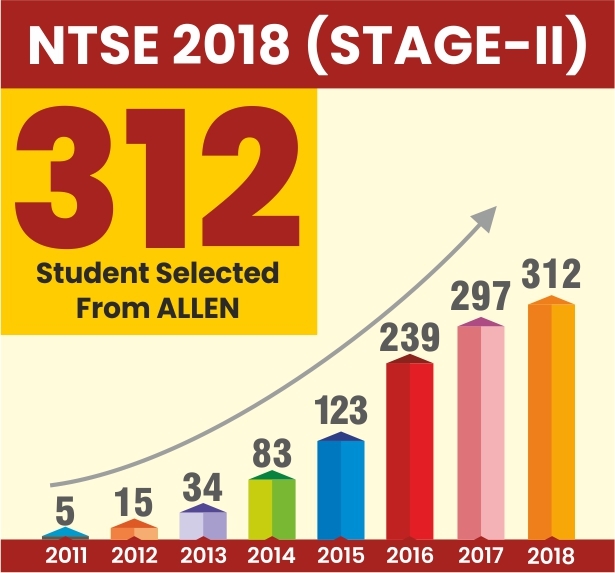 This time the Highest Marks in NTSE Stage-I of West Bengal were 131. After Qualify the first round now these selected candidates will get the admission letter for the NTSE Stage-II. NCERT Delhi will send the Admit cards & exam center details directly to the candidate’s address. The Directorate of School Education of West Bengal has released the notification of the conduction of the State Level National talent Search Examination 2017. The students of class X or those who will appear at the 10th level examination can apply for this prestigious national scholarship, the Stage 1 for which will be held on 13th November, 2016 across different centers in the state of West Bengal. 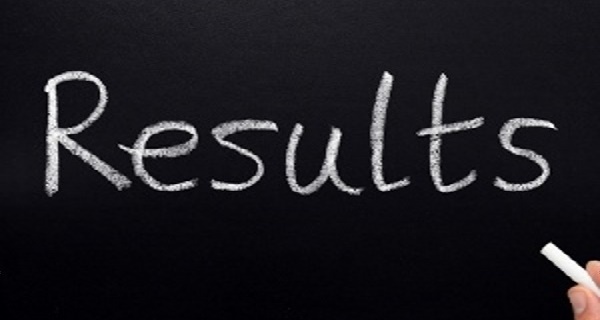 West Bengal NTSE result 2015-16 has been declared by the department of School Education, Govt. of West Bengal. Total 22 candidates have been qualified for NTSE stage 2 Exam which will be conducted on 8th May 2016 (Sunday). The West Bengal NTSE exam was organized at various centers across the state on 8.11.2015 for scholarship exam NTSE Stage 2. Exam was conducted in three parts: Mental Ability Test (MAT), Language, Test, Scholastic Aptitude Test (SAT), all parts were objective type and having 200 Questions overall.